Nyree Wright is a role model who is as dedicated to her community as she is to her career. She is a natural born leader, committed to the role of excellence and diversity in the marketing and communications industry. Her “each one, reach one” attitude is her signature. Nyree is a top Washington, DC public relations counselor who played a critical role helping to manage communications during the bankruptcy and recovery of General Motors beginning in 2009. Additionally, she served on National Grid’s crisis communications leadership team and was onsite during Hurricane Sandy – the deadliest and most destructive hurricane of the 2012 Atlantic hurricane season, as well as the second-costliest hurricane in United States history. Most recently, Nyree was one of the key counselors helping Firestone Liberia communicate its efforts in combating the Ebola outbreak in West Africa – the largest and deadliest Ebola outbreak in history. In all, Nyree has a proven track record in crisis communications and for developing successful campaigns across various industries that include consumer, automotive, education, financial services, energy and telecommunications. 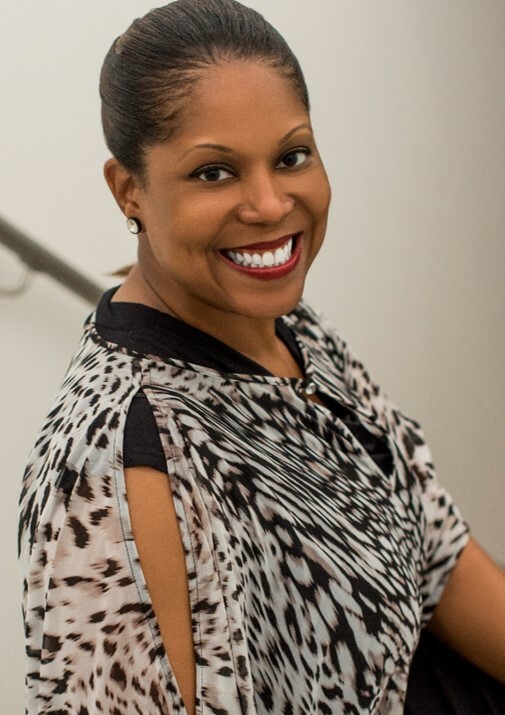 Nyree joined The McGinn Group in 2001 after working at Prudential Financial (1997-1999) and Ogilvy PR (1999-2001). Nyree began her career at The Rosen Group in New York, where she secured a position with the agency after interning with them through her Rutgers University PRSA chapter during her undergraduate studies. Nyree is a seasoned communications advisor who brings to Porter Novellia strong foundation of corporate reputation, strategic counseling and public relations/marketing experience. Her knowledge provided her the skill-set and management acumen that contributed to a 2001 Public Relations Society of America Big Apple Award for her PR & Marketing Communications work while working in Ogilvy PR’s New York office. This award was not only a first for her, but also represented the program/campaign of the first- ever introduction of tax e-filing services. Her client (H.D. Vest Financial Services) set the stage for a multi- billion dollar industry and later became acquired by Wells Fargo. During this time, she also attended Seton Hall University where she earned her MA in Corporate & Public Communications – a challenging goal, since she was managing one of the largest accounts in her office. Nyree has received top industry awards, including the National Press Club’s coveted Vivian Award for years 2013, 2014 and 2017. The Vivian Awards were established by former NPC president Vivian Vahlberg in 1982 to honor outstanding service to the Club. Nyree earned this recognition through hard work for one of the most important associations in the DC marketplace. As a member of the NPC’s Speakers Committee in 2013, she successfully pitched, managed and orchestrated sold-out luncheons for notable speakers, including Ben Jealous (NAACP President & CEO), Bob Johnson (Black Entertainment Television/BET Founder) and Gloria Steinem (the feminist activist) on the eve of her receiving the 2013 Presidential Medal of Freedom. Since 2011, Nyree has also served as the co-chair of the National Press Club 5K Committee, responsible for the organization, execution and promotion of the annual 5K Run to help raise funds for the National Press Club Journalism Institute. The over $200,000 she helped raise during her tenure has allowed the Journalism Institute to help working journalists improve their skills with ongoing training and programming. It also funded scholarships for future journalists that promote diversity within the journalism profession. For her efforts, Nyree has been a regular presence on the dais for some of the NPC’s most prominent speakers, most recently in December when General Motors CEO Dan Akerson made his last major speech before his retirement. Nyree was named to Washington Life Magazine’s “The Young & the Guest List 2014”, which “honors the 300+ under 40 geniuses, visionaries, crusaders & innovators shaping Washington's future.” She was also featured in Capitol Communicator’s “Up Close & Personal Profiles” (March 2015). Most recently in October 2018, Nyree was featured in Diverse Voices: Profiles in Leadership, a bookdesigned to help communications leaders and professionals better understand the challenges faced by minorities in the communications profession. The book features interviews with more than 40 multicultural corporate and PR agency leaders. These executives, many of whom have risen to the highest levels of the communications profession, share candid anecdotes detailing successes and challenges that they face during their career, as well as tips and lessons for those entering the field. The book was developed by the PRSA Foundation and the Museum of Public Relations, with all proceeds going to the Foundation, an independent, 501(c)(3) charitable organization dedicated to advancing diversity and inclusion within the communications profession. Nyree’s leadership in PR/Communications is undisputed. She is a charter and former board member of ColorComm, an organization for women of color in communications; a trained Focus Group Moderator of the Research in Values & Attitudes Institute (RIVA); a former member of the National Press Club (NPC), one of the most prestigious media/communications organizations in the world; a member of the Public Relations Society of America (PRSA); and in 2016, became a trustee of the Public Relations Society of America (PRSA) Foundation. However, the essence of her leadership is shown through her 2009-2012 presidency of the Capital Press Club (CPC), the oldest African-American communications association in the nation. CPC – founded in 1944 as an African-American alternative to the NPC which, at that time, did not accept black members – exists to unite communications professionals of color through professional development, networking, new business opportunities/entrepreneurship, and issues advocacy. Leadership/Role Model: Nyree’s leadership is evident in all she does. Within the agency (and industry), junior team members seek her out for guidance and counsel. With her peers, she is revered as an accomplished colleague. With her clients, she is a trusted and strategic advisor on all fronts. Commitment to Her Trade:While Nyree has remained dedicated to the PR/Communications industry, she by no means remains complacent in her achievements thus far nor rests on her previous laurels. She continually looks for opportunities to grow professionally while mentoring those around her. Dedication:Nyree leaves no stone unturned when it comes to servicing her clients, agency and fellow (wo)men. She constantly seeks to achieve the best in all she does, both personally and professionally. She believes that she’s been given gifts/blessings with a purposed vision to share them.